At the end of the nineteenth century the German psychologist Ebbinghaus discovered that people forget about 80 percent of newly acquired knowledge within 24 hours. Imagine the training effort wasted as a result. 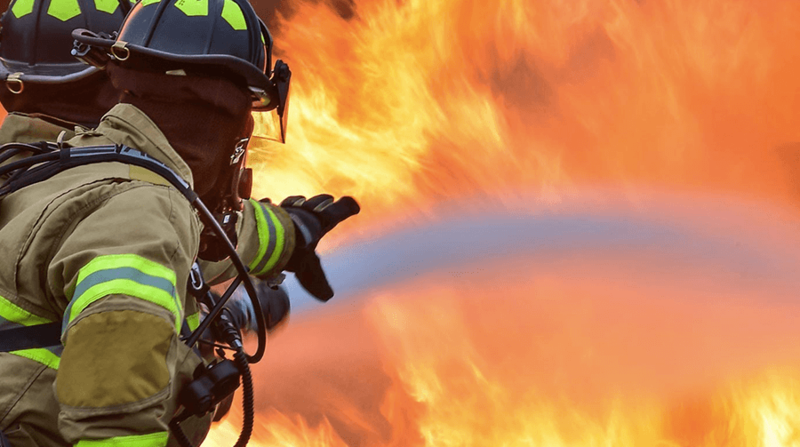 Our MemoTrainer™ app offers the solution! 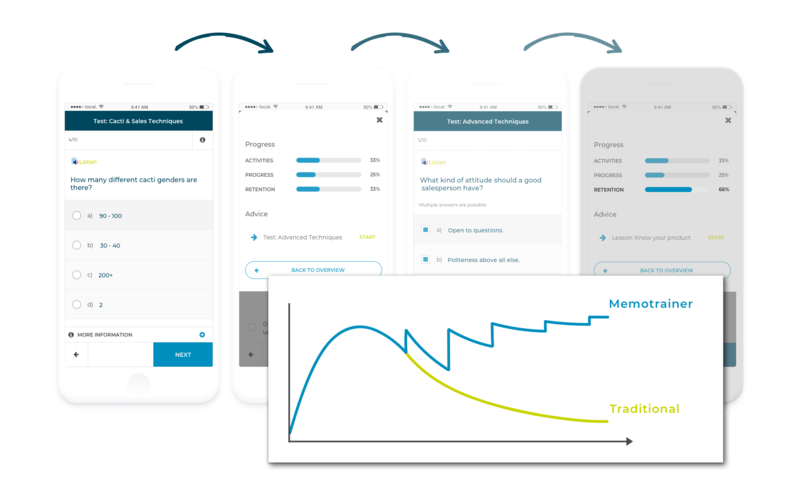 MemoTrainer™ integrates the theory of Ebbinghaus ‘retention through repetition’ in a unique way in an online learning solution. 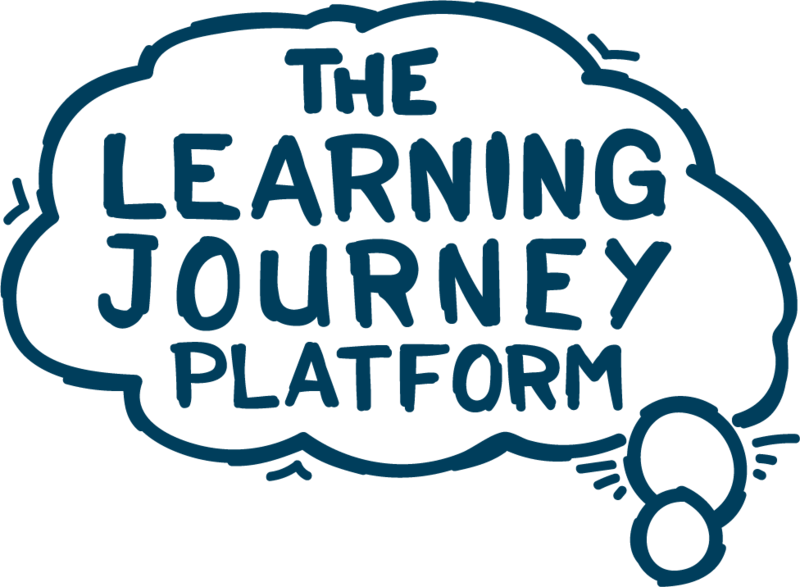 The system trains knowledge in a personalised way so learners remember more and pass their courses quicker. Ebbinghaus claimed repetition was the key to not forgetting. He formulated a scheme that made sure knowledge was being stored in the long term memory. MemoTrainer™ is based on this scheme. Certain knowledge areas need more attention than others to store them in the long term memory. MemoTrainer™ is designed to challenge learners by selective repetition and used smart exercises to activate knowledge. The knowledge that learners struggle with will be shown more often, this way a personal repetition scheme is created. Statistics of MemoTrainer™ use show improved examination marks. Learners will also remember everything they learned during their course a lot longer. In several cases it is shown that the use of MemoTrainer™ improves the business case for training. Your learners can download the free MemoTrainer™ app for iOS and Android. With this app they can do their MemoTraining where and when they like! For a course designer it is easy to determine which and how many questions you want to add to the MemoTrainer™. Plus, you can choose to use MemoTrainer™ as a part of a larger course, but you can also use it to only train questions – for example as preparation for an exam. Curious to know how you can use MemoTrainer? We’d love to show you all advantages MemoTrainer™ can offer, and give you advice based on your business case. Request a personal demo, or contact us for more information.